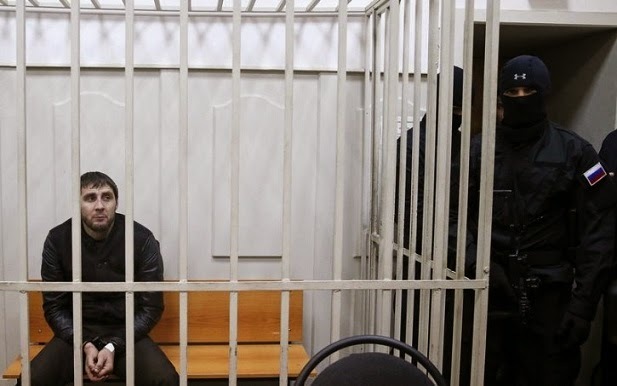 Shamsudin Tsakaev, an advocate of Zaur Dadaev, a defendant in the case of Boris Nemtsov's murder, requests investigators to re-interrogate his client. According to the advocate, Zaur Dadaev told him that the investigators forced him to testify against his colleague Ruslan Geremeev, the "RBC" reports. Initially, Zaur Dadaev has promised to show how Boris Nemtsov was murdered; however, the investigative experiment has failed, the "Rosbalt" reports. Zaur Dadaev claims that after his detention in Ingushetia on March 5, he gave a confession. After that, he was brought by plane to Moscow, where the investigators forced him to testify against Ruslan Geremeev. According to him, the text given to him by the investigators in Moscow mentioned a man with the name "Rusik": a person, who allegedly provided a pistol and a car to commit the crime, the "RBC" reports today. "There is no such person with the name Rusik. He is a mythical character invented by those who tortured me. 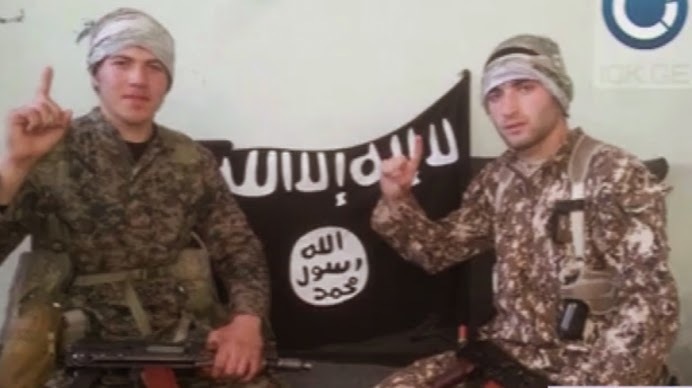 I would never speak of Geremeev as 'Rusik', since for me, he is senior in rank and age," Zaur Dadaev told Shamsudin Tsakaev as quoted by the "RBC". 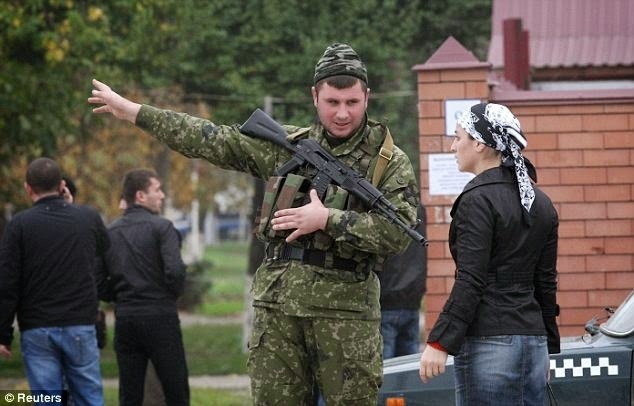 Ruslan Geremeyev, the officer in the Sever Battalion who was reportedly the organizer of the Nemtsov murder, has left his native town of Dzhalka, Rosbalt.ru reports. A source says he has likely left Russia. Dzhalka is the native town of Adam Delimkhanov, a senator in the Federation Council and Alimbek Delimkhanov, the commander of the Sever Battalion. The police blockade of the village is removed, the guards have disappeared from the house where Geremeyev was supposedly located. He is no longer in Dzhalka, and there is no information that he has gone to another town. Countries supporting the Islamic State (IS) extremist organization may soon send militants to Central Asia, to the Caucasus and Europe, Iran’s Defense Minister Hossein Dehghan said on Thursday at the 4th Moscow Conference on International Security. Western countries are trying to compensate for their military defeats by using the potential of terrorist groups, he noted. "Today, I must say with enormous regret that the countries that support IS and other terrorist groups conduct special training and logistical planning in order to send militants to Central Asia, to the Caucasus, to India. Western China and Europe in the future," Dehghan said. Georgia is to make it a crime to be a member of a terrorist organization or take part in a paramilitary group in another country. The law was drafted after calls for the government to do more to stop the flow of youth joining the war in Syria. Not only participation in paramilitary groups abroad will be punishable, but also making propaganda for them or work to recruit new fighters. The former Georgian President turned Ukrainian Presidential aide met a group of former Georgian soldiers involved in the fighting in eastern Ukraine; Mikhail Saakashvili praised them for their faithfulness to the "allied country," presented the soldiers with Easter gifts, and then prayed with them in the Kiev Church of the Nativity of Christ "for the victory of Ukraine in the war with Russia," according to the Russian daily Kommersant. Taking part in the Sunday meeting were about thirty suspected Georgian mercenaries from the Azov and Donbass battalions, as well as a group of instructors from the Patriot training center. They included Gigi Kalandadze, former Chief of Staff of the Georgian armed forces, who, along with the others, allegedly freely resigned from the Georgian army in order to fight in Ukraine, according to Saakashvili. Interpol has withdrawn ‘red notice’ for Georgia’s ex-justice minister Zurab Adeishvili, who is wanted by Tbilisi for number of criminal charges, which his allies say are politically motivated. The Georgian prosecutor’s office said that in its notification Interpol cited “granting of a refugee status to Adeishvili by one of the countries” as the reason behind its decision to revoke red notice against Georgia’s ex-justice minister; prosecutor’s office said it does not know which country it was. At the time when the red notice was issued against Adeishvili, he was supposedly in Hungary, where he reportedly already had an asylum. Recently he has been informally advising Ukrainian authorities on reforms, according to his close allies and former Georgian officials now working in the Ukrainian government. Washington has remained tight-lipped on a report by the Kyrgyz newspaper Delo No. that a mysterious Ukrainian aircraft delivered 150 tons of cargo with the status of "diplomatic mail" to the US Embassy in the Kyrgyz capital Bishkek late last month. 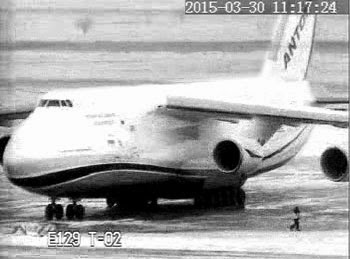 According to the newspaper, the cargo was delivered during two separate flights by the AN-124 transport jet of the Ukrainian air carrier Antonov Avialinii. The flights took place between March 28 and March 30, and each time the plane was en route from the UAE capital Abu Dhabi to the Manas international airport. The newspaper recalled that in November 2013, the US Embassy in Kiev also received "diplomatic cargos" that were delivered by US Air Force transport aircraft. The US Embassy in Kyrgyzstan did decide to comment to 24.kg news agency on the delivery of "mysterious cargo" from the UAE. As the press service of the US diplomatic mission in Kyrgyzstan said, "it was usual ship with materials for a new embassy." It confirmed that this wasn't the first such diplomatic mail. "Cargo doesn't come on schedule but as needed," the Embassy added. Young Patriots of Kyrgyzstan urge the law enforcement agencies to ban the activities of Human rights watch. They stated it today at a press conference. According to Emil Turumbekov, they "won't allow events such as the Ukraine to happen." "We are afraid of such organizations that can quickly mobilize. We demand to expel the head of the Organization Mira Ritman out of the KR and bring for responsibility for interference in the internal affairs of our country," he said. Indignation of members of the patriots movement aroused by Mira Ritman's statement after the incident in Osh office "Bir Duino", which was raided and confiscated attorney materials on March 27. "This incident stirred up the American defenders. They go beyond all bounds and disturb society," Emil Turumbekov said.